Explosion on Tuesday rocked six residential buildings on Zomi-Zomi Street at the Upper Sakponba axis of Benin City the capital of Edo State. Although no live was lost in the incident, which occurred in the afternoon, some occupants of the buildings sustained minor injuries. 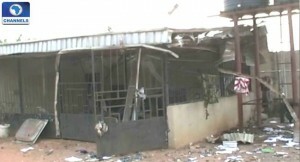 The explosion, however, shattered part of the front perimeter fence, aluminum roofing sheets and bore hole rubber tanks. In the premises of the buildings, papers were littered around. 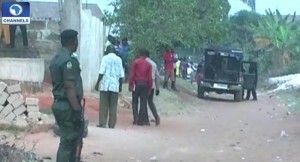 A team from the anti-bomb squad swiftly deployed to the area which was subsequently cordoned off. The Edo State Police Public Relations Officer, Stanley Osifo, confirmed the incident to Channel Television in a phone call. He said it was an Improvised Explosive Device (IED) that had gone off. He also said the police have commenced profiling of the residents of the area, as he believes that will assist the police with more facts about the incident.